SSC believes that one of the most important things we can do to strengthen our social change movements is to find and fully support bold, innovative and diverse leaders who embody social justice values and can galvanize communities to take action. 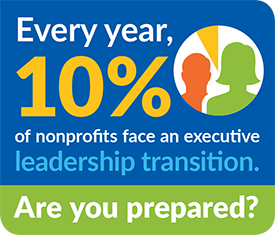 Why is it important to plan for a leadership transition? Leadership transition is a critically important time in the life of any organization. Leadership transitions create the opportunity for organizations to take stock of where they are and where they want to be in the future, and ultimately, to find the type of leader(s) that will help them get there. If managed well, a leadership transition can inspire! Transition processes can spark new thinking and innovation, galvanize stakeholders, and propel organizations to achieve even greater impact. Coaching support to help the ED to develop a First 100 Days Plan. For more information about our leadership transition services, contact Yvette Diaz, yvette@strategiesforsocialchange.com.